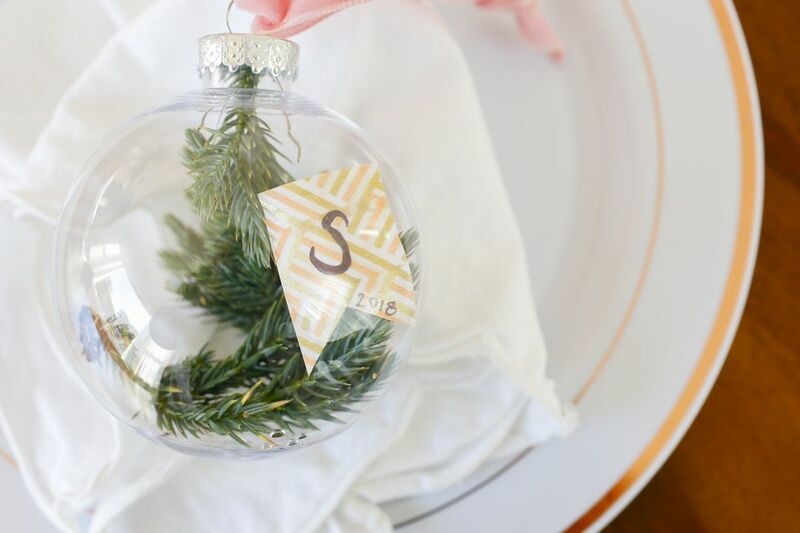 There might be nothing better than a craft project that can serve multiple purposes, so that's why this place card idea is especially lovely for the holidays. Not only will these quaint ornaments show people where to sit at your holiday festivities, guests can bring them home when the party if over and hang them on their Christmas tree. Even if your party is small and all of the guests know each other, setting out a pretty place card lends the perfect finishing touch to every place setting. Easy and inexpensive, you can whip these up in no time at all. Just be sure to make one for your own family as a keepsake, too! The clear holiday ornaments are easy to find at your local craft store, but be sure you're getting the clear glass versions. There are pretty beveled options, but those make it too difficult to read the names or initials you choose to put inside. You definitely don't want to put real plants inside the ornaments either, faux or dried plants won't go bad inside. Filling the inside is easy. 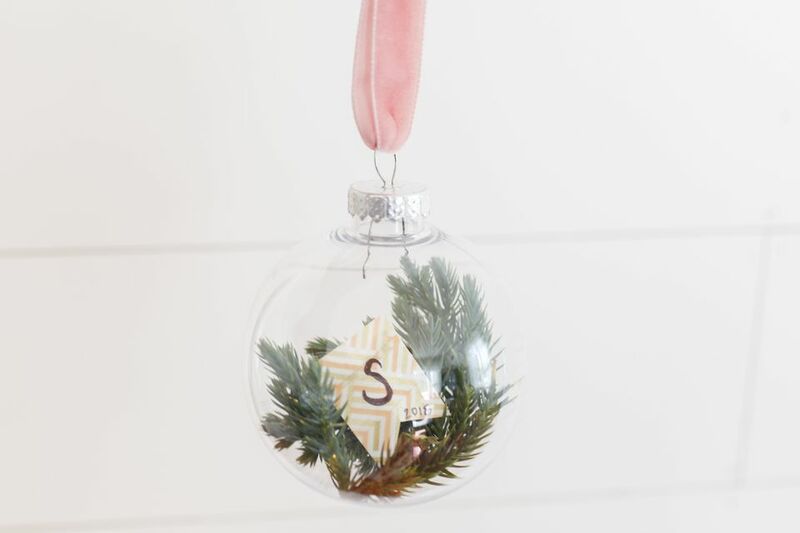 Simply remove the top of the ornament from the clear ball, or some versions even open completely to make it easier to put things inside. You can either work the pretty dried plants inside and let them do their own thing naturally or you can create a little bundle to place inside so it had a little more structure. You can layer other pretty accents—like feathers, berries, or pods—inside, too. Either write or stick on an initial or a full name onto a piece of paper. If your dinner party is small, you can stick with the first letter of someone's first name, but if it's a larger gathering, it might be smart to write out the full name in order to avoid confusion. You can cut the paper around the letter or name into a fun shape like a heart, octagon, or a little banner. Have fun with it! If you want it to hang, use a piece of fishing line to suspend it from the top piece of the ornament. Okay, this last step you could do with your eyes closed... well, almost. We'd advise keeping them open, but still, all you have to do is add your ribbon through the top of the ornament. Don't skimp on a so-so ribbon though! Something especially pretty that lends a touch of texture to the finished product is ideal. We used velvet here and love the way it looks! Guests are sure to love this place card! When they're complete, just top off each place setting with its respective orb. It's a beautiful way to help finish your Christmas tablescape.